Of course I am a Ph.D. and not a medical doctor and so it is important to work with a medical professional such as your MD, naturopathic doctor, traditional Chinese medicine doctor or ayurvedic doctor for help with pancreatic cancer. Kelley was talking about Namaste Yoga 199, Yoga for the endocrine system, in which we touched on the pancreas as well as many other endocrine glands and hormones. I have put a class devoted to the pancreas on my content creation list. In the mean time. 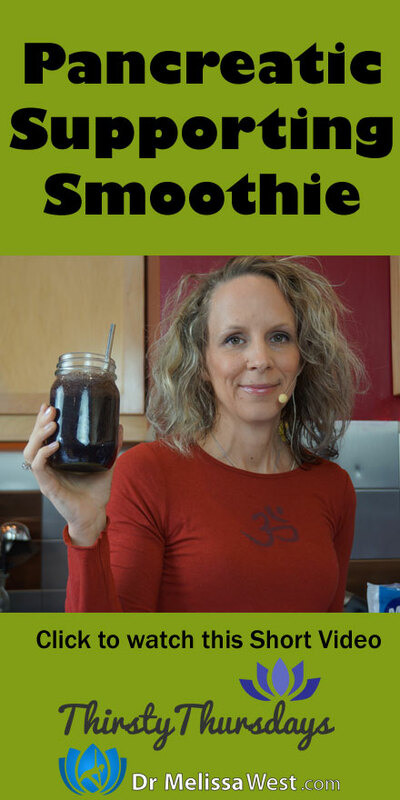 Your pancreas secretes digestive enzymes and is part of your digestive system and also performs endocrine functions by releasing insulin and glucagon responsible for balancing blood sugar. 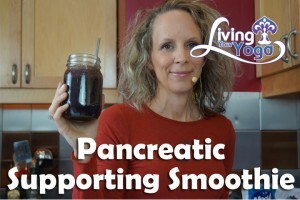 Today we are going to make a smoothie that will support the pancreas and is good for people with diabetes.